Tony White, a dedicated fan of the Slapstick Festival. 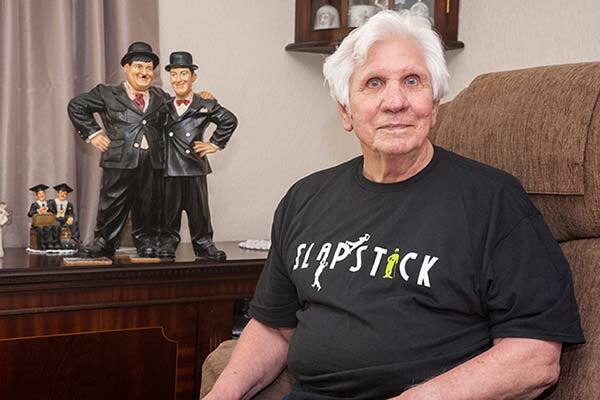 For 79 years, Tony White has been a dedicated fan of silent comedy. This veteran of all things comedy has battled several life-threatening illnesses; being left with paralysis after a stroke; battling cancer twice, and been in a coma for nearly a month! In spite of that, Tony has attended almost every event at a festival celebrating the golden age. Impressively, he’s only missed Slapstick Festival once in 12 years! Tony takes his wife of 55 years, Sheleagh, and nowadays often attends with his Doctor too! “I am lucky to be here. I may be unwell, but it’s not going to stop me living the good life. The Slapstick Festival has definitely brought more interest and joy into my life. I love going to the shows, and we even joke now that I have to bring my doctor in case I take a funny turn. We’ll let you off for that one, Tony. 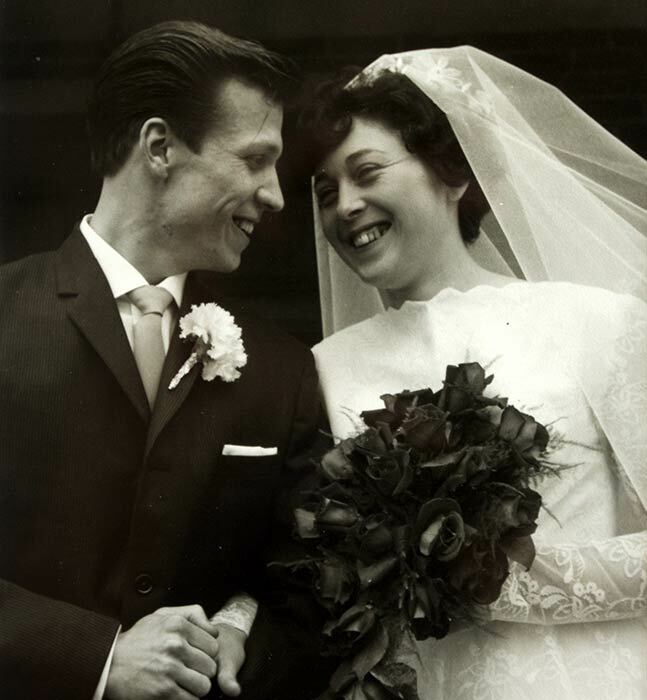 Tony and Sheleagh White on their wedding day. Slapstick Director Chris Daniel has been lucky enough to call Tony a friend for nearly 30 years. Chris had cared for Tony’s late son, Richard, who was blind and had learning disabilities after catching meningitis as a child. Sadly, Richard died aged 29, and Chris and Tony have remained close ever since. In fact, Tony encouraged Chris to set up the Slapstick Festival – and to this day Chris seeks his guidance. Tony met Laurel and Hardy in the 1950s outside Bristol Hippodrome stage door, where they had performed. He also queued up all night to see Shirley Bassey – who could blame him! – and his photo even appeared on the front page of the Bristol Post at the time. 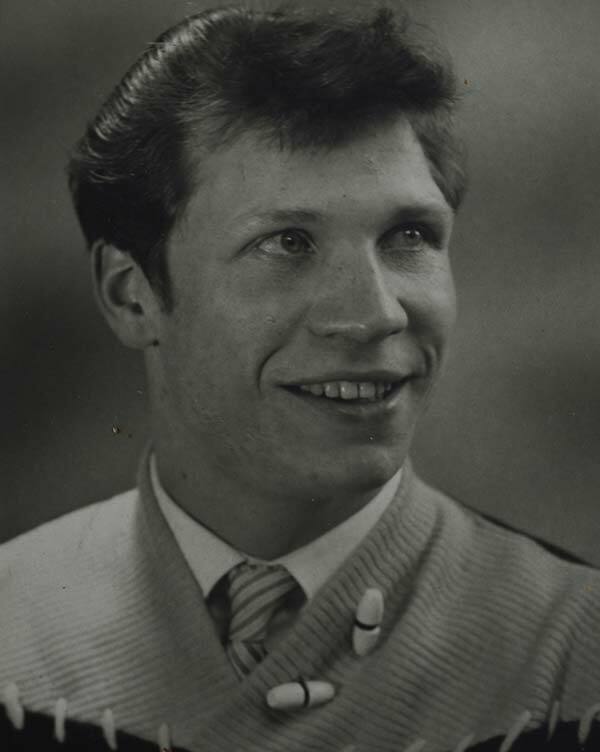 Tony White as a young man. But perhaps his most memorable meeting was with Frank Sinatra in 1954, who let him try his hat on and bought him his first alcoholic drink. Not bad, eh? His autograph, which had been placed in a box, has disintegrated over the course of time. 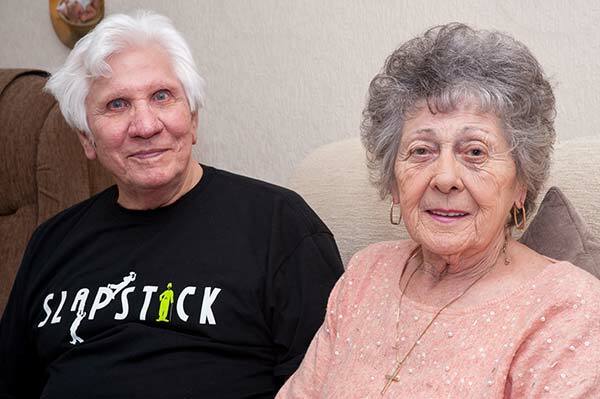 Tony and Sheleagh White, who have been married for 55 years and are big fans of silent comedy. These days, Tony occasionally uses a wheelchair – so naturally we’ve provided him with an honorary seat at Colston Hall (the first seat on the aisle) in recognition of his dedication, and as a thank you for all of his support. Our fundraiser event, Stand Up for Slapstick, will take place on Sunday, June 12. Click here for more information.